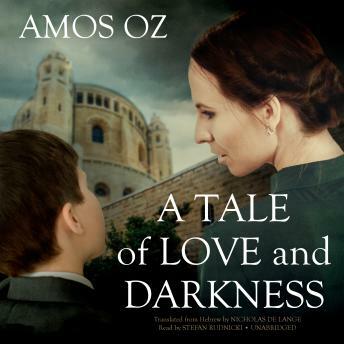 Listen to "A Tale of Love and Darkness" on your iOS and Android device. It is the story of a boy growing up in the war-torn Jerusalem of the forties and fifties in a small apartment crowded with books in twelve languages and relatives speaking nearly as many. His mother and father, both wonderful people, were ill-suited to each other. When Oz was twelve and a half years old, his mother committed suicide-a tragedy that was to change his life. He leaves the constraints of the family and the community of dreamers, scholars, and failed businessmen to join a kibbutz, changes his name, marries, has children, and finally becomes a writer as well as an active participant in the political life of Israel. Intresting story. Lot of descriptions of details! Great narration!